These games usually require a partner to be done correctly. Try to find someone who is on the same level as you (or better). Don't be frustrated if you aren't very good at the beginning. This means you have found something that can skyrocket your playing to the next level. The first game involves playing three different rudiments. As you play through each rudiment the goal is to stay in sync with your partner. This forces you to listen to your partner. It's very difficult to stay in sync with someone if you are both trying this for the first time. Additionally, it allows you to view, in real time, another personal drumming style and technique. 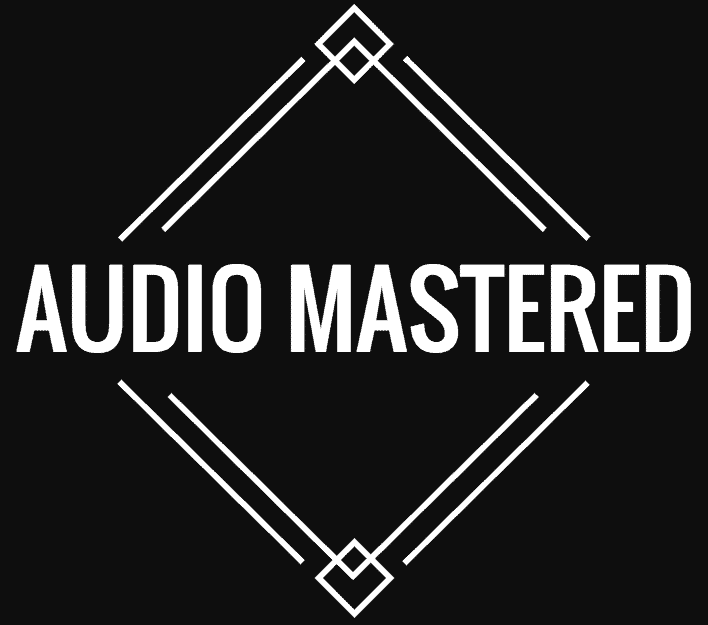 This exercise is great for motivating each other ​to improve and become better drummers. Once you've attempted it without a metronome, try turning one on. If possible, have the metronome increase in pace every 6 bars and see what level you can reach with your partner (check out T﻿﻿empo if you don't already have a metronome). The second game also involves a partner. The idea is to come up with a four measure phrase that you can both handle easily. On the 4th measure, have one of you solo while the other continues the phrase. Switch back and forth swapping ideas and techniques along the way. This is another game where playing off of your partner's style can be hugely beneficial. ​Don't be afraid to swap pointers and helpful tips along the way. Have a look at the video below for an example. ​For those of you who have students, there are a few fun games for all levels that you can try out during your lessons. For example, see if your student can pick up on a song by only hearing the drum section. This helps your student with their ear training and music memory. It can be fun to see how many songs both of you can play without the other guessing correctly. For more advanced players you can play name that fill. The same idea, but with famous drum fills. Check out the video below for more advanced ideas. One final game that is great to play takes advantage of any beat exercise books you have lying around. Once you have a good handle on each exercise in the book see if you can complete each exercise multiple times. If you can't, you'll need a little more practice before attempting this game. The idea is to be able to play the entire book from cover to cover, back to back. As soon as you've finished one exercise, flip the page and begin the next (it's much easier if you have someone around to help you flip the page). Pick a tempo and see if you can complete the entire book without stopping! This is great for kids (as long as you use a book that is appropriate for their level). Some of you may be looking for virtual drumming. This can be a great way to keep yourself entertained when you are on the move. They can also be an inexpensive way to get a basic introduction to drumming. If you have kids who are interested but you aren't ready to commit to buying a complete drum set these can be one option. There are of course a number of these virtual drumming games. Many can be bought from your app store. 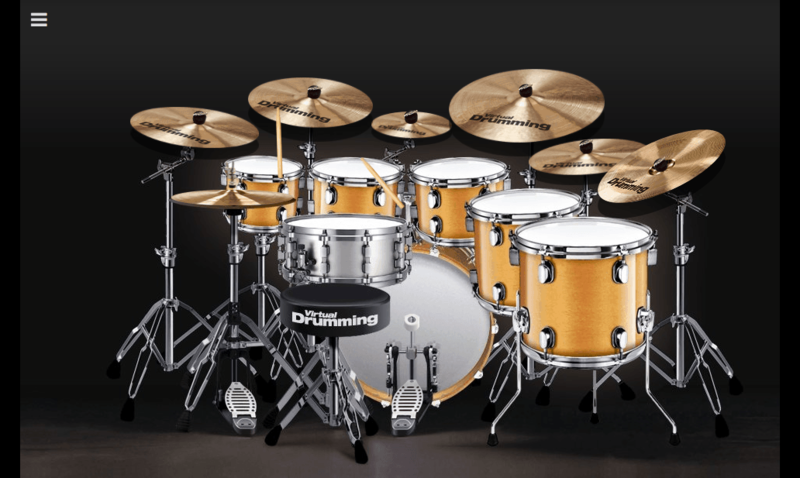 One of the most popular virtual drums comes from Virtual Drumming. They provide a virtual drum machine that can be used to learn drum sheet music and drum elements. You can also build your own rhythms or use the preprogrammed drum loops to get an idea of each music genre's drumming style. They also host monthly virtual drumming contests where kids can upload their videos of them playing the virtual drum and submit it to the community. The winner is determined by the most likes and upvotes and will have their video posted on the virtual drumming Facebook page for everyone to see! Finally, if you are looking for virtual drum games to help improve your rhythm there is always Drum Nuts. There are a few games where you must attempt to keep time with your virtual drum kit as a song plays in the background. 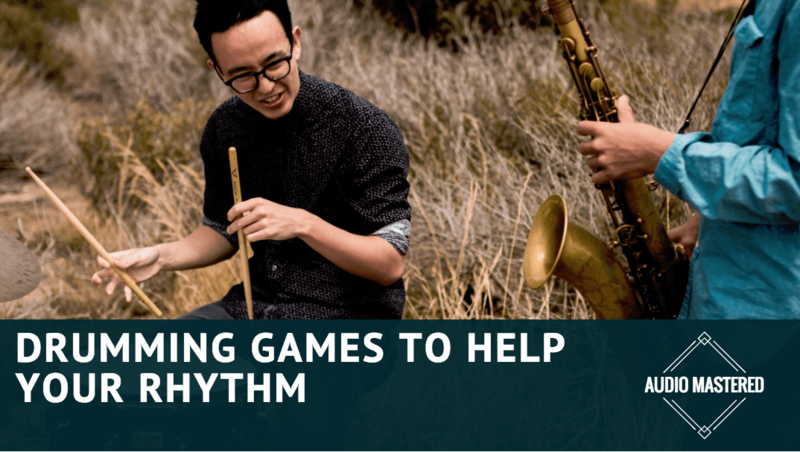 These games are primarily targeted to kids so if you are an experienced drummer you'll want to skip these. If you have any other ideas for drum games then please leave them in the comment section below!